Have you ever stopped to wonder why the minute you go to talk to a baby, your voice does the familiar high-pitched, sing-song tone? Commonly referred to as “baby talk”, the assumption is typically because we find newborns cute. In the same way your voice changes when you talk to puppies or kittens, it’s just something which happens that you don’t tend to question. However, experts claim there’s more behind the natural baby talk tone than you might think. In fact, it’s said that it could really help your little one develop speech recognition at an earlier age. So is this true or is baby talk actually damaging your child’s development? How Can It Help With Development? According to some experts, the sing-song voice you naturally do when speaking to your baby is easier for them to understand. Their hearing isn’t fully developed, so it’s thought they can recognise some sounds a lot easier than others. Therefore, by talking to them in a high-pitched, sing-song style voice, you’re making it easier for them to understand and learn language. 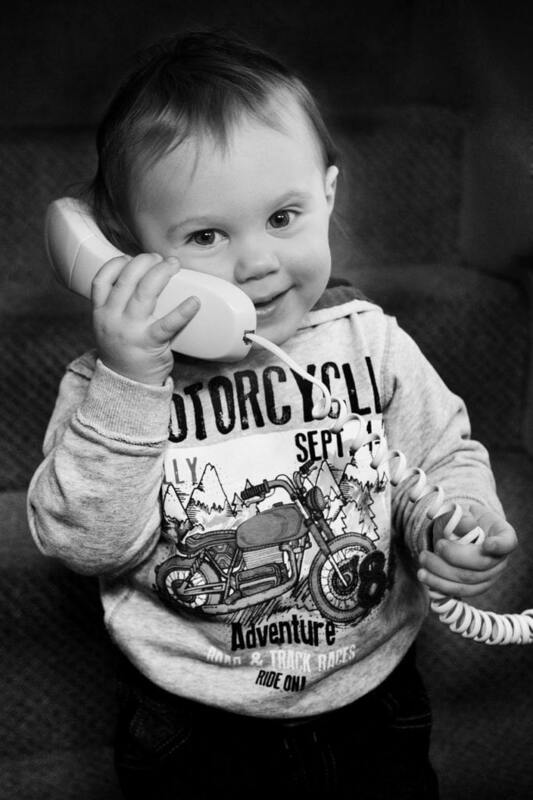 Some studies have shown that babies who were talked to in a “baby voice” developed language earlier than those who didn’t. However, contrasting research has shown that rather than help development, baby talk could actually slow down your little one’s language development. So what should you believe? The main reason some researchers doubt that baby talk positively impacts baby’s language skills is because of the clarity of the words being taught. A Japanese study published in the Psychological Science Journal showed that mothers generally speak a lot less clearly to their little ones than they do to adults. Now, logically you could link this to what we mentioned earlier – the fact that a baby’s hearing is better at detecting words in a sing-song voice. However, the research shows that this isn’t the case. Babies can detect words, even when they are spoken in a more unclear manner, something the researchers find remarkable. However, they also understand words being said in a more adult tone. This means the tone of voice you use could have very little to do with your baby’s development and more to do with the baby themselves. So Will It Harm My Infant’s Development If I Use A Baby Voice? Absolutely not! Adults have been reverting to baby talk for decades now and it’s shown no signs of slowing down development. Using baby words is also fine too such as “moo-moo” for cow and “Da-Da” for daddy. The tone of your voice isn’t going to have that much of an impact on how your baby learns to talk. If anything, it’s simply going to put a big smile on their face! Babies love high-pitched baby talk. If you use shorter words, they’re also more going to find it easier to repeat them and you’ll often notice them babbling back at you! So overall, it’s best not to pay too much attention to conflicting research. Your baby voice is something you enjoy using and your baby enjoys hearing and that of course, is the only thing that matters. So, a sing-song style voice is working better and the child understands it much better than the rest of t communication. Thanks for sharing this, I didn’t know that this method is the best. I will sure use it, in a few months! Yes @wallet, the sing – song tone helps a lot in child development very well because it’s just the tone that they understand more than the normal adult voice. It helps them to understand and develop their talking skills easier and early as well. Also there is something that was overlooked in discussing this topic, it’s the facial expression made when talking to babies. Always make a smiling face when talking to your baby, it makes them laugh back and try imitate your speech in the process. This is one fun topic going to serious. It say this here and that there. This so called experts and researchers seem to be contradicting themselves. This exactly what was going through my mind before getting to the conclusion part of the post. I completely agree with you on this. No one really knows what and what not on this topic. So let’s just keep on with the baby voice instinct which comes naturally to everyone. Whoever says baby talk tone damages the child development is so very wrong. In fact, I would say it enhances their grasping of what’s being said to them more easily than when you speak to them using normal voice tone. Personally, I do speak to my little cousins using baby talk singing tone, and they adjust very nicely in hearing and understand me, as well as responding well. Our baby is 10 months old. He now understands some words and instructions. He has not started to speak, however, can produce some words like mamma, pappa etc. We use sing-song voice to communicate with the baby. We are doing this because we have seen many parents using sing-song voice. This is a useful and informative article because I was always confused about whether we are hindering the speech development in the baby by using sing-song voice.